Dip your bubble wand into the bubble mix, remove it and let any excess bubble mix drip into the container, then move the wand slowly through the air to make great big bubbles! OFC you need some mix so I found this great recipe online. 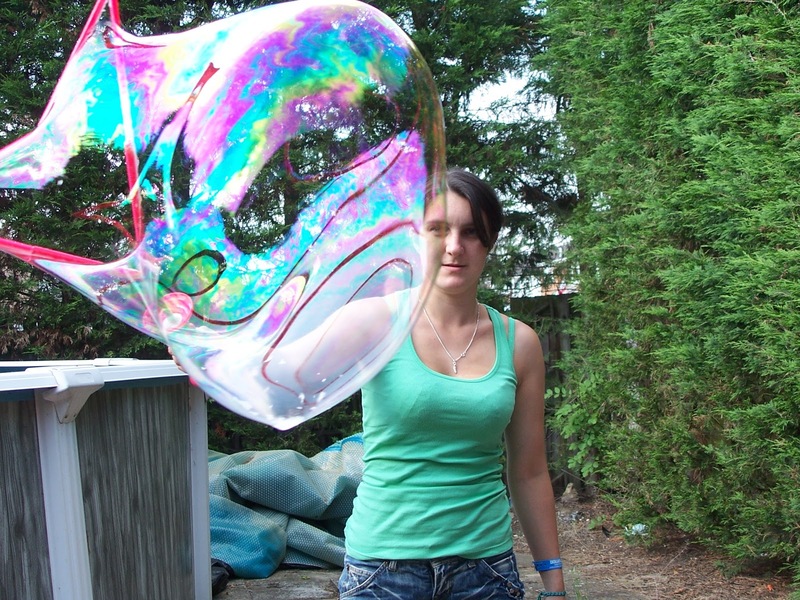 This solution is great for most bubble tricks, activities, and experiments too, let the kids enjoying being kids - and the big kids too for that matter! There’s been a lot of talk about a new EU directive proposing to give everyone a 2 year guarantee on all products. UK are only adopting this directive partially which is leaving us in a grey area. Some believe this new right is being suppressed in the UK and that we are being deceived by retailers. So it means if you spend £600 on a washing machine and you are a family of 4 with few loads of washing a week you would expect it to last at least the 6 years guaranteed. If "wear and tear" after 2 years is judged to be unreasonable for such an expensive product, then this IS a manufacturing fault and the retailer is responsible for repair or refund (the refund should take into account how much use the customer has already had of a product). If you have a house full of 10 and a £200 washing machine you shouldn't reasonably expect it to last more than a year or 2 and you are not covered. The laws and documents have overlapping policies that make it very difficult for you to find out your consumer rights and easy for retailers to fob you of. Its a very complicated subject so if you have a product that needs replacing and you believe you apply please check out the links included in this post for a more indepth look a the subject. Be prepared for lots of reading it is very heavy going!